Check it out! The latest EOW. 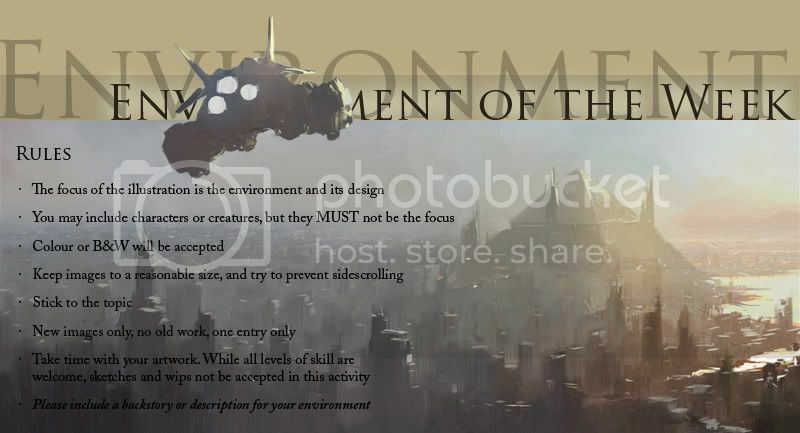 - Design a sci fi book cover with a title included. Think of something you would want to read... be as adventurous as you wish with this one. A small backstory or summary would be excellent for a better vision into the world your book cover is depicting. Complete stories are encouraged, but optional. Art: Digital Science Fiction. Fake Cover.